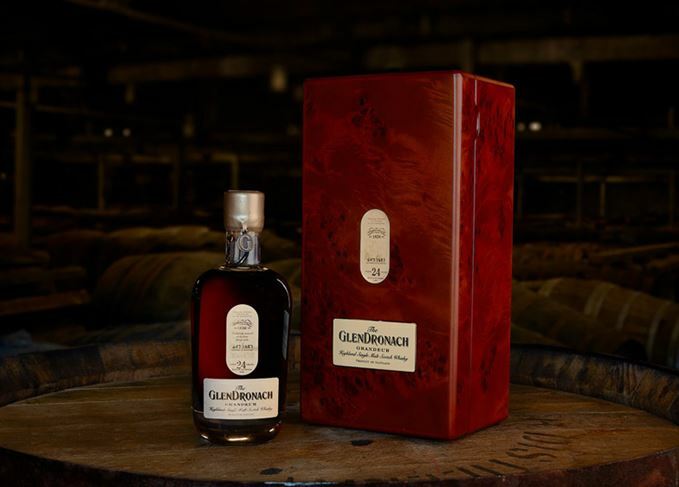 The GlenDronach distillery is launching Batch 9 of its Grandeur expression, a 24-year-old single malt made from a vatting of three different vintages. The GlenDronach Grandeur Batch 9 is comprised of liquid distilled in 1990, 1992 and 1993, and aged in Spanish oak Sherry butts. Just 1,487 bottles of the Grandeur Batch 9 is being produced, with each individual bottle sealed with wax and numbered by hand. Bottled at 48.7% abv, the whisky is non-chill-filtered and said to offer notes of ‘stone fruit, baked quince and glazed cherries on a bed of sandalwood’ with a ‘velvet’ finish. GlenDronach master blender Rachel Barrie said: ‘Grandeur Batch 9 is a single malt of finesse, powerful complexity and persistence, reaching heights of maturity and depth of character that approach single malt perfection. The whisky is the ninth expression in a series of limited edition whiskies, released by the Highland distillery under the Grandeur name. It will be available for around £450 from specialist whisky stores worldwide from February.